Let me start by saying that this is not an anti-tech post. I am a geek, for sure, and if this doesn’t prove it, nothing ever will. 🙂 So all that to say, I am writing this for myself, too. Every single day I see more and more people with their faces buried in their smartphones. People who are seemingly letting their lives go by without truly noticing, as technology pulls them further and further from the real world around them. I cannot help but think that the “cone of smartphone shame” would be an effective way to help us curb our obsessive behavior. I think as we look back through the years, we are going to wonder why could not stay present with the people in front of us. There will almost certainly be feelings of regret. What a shame it will be to have missed out on so many splendid moments as a result of our never-ending thirst for data. Self-control is certainly not an easy quality to maintain in our lives, as we all know too well. I can’t help but think that as Christians today, one way we can be set apart from the world around us is to finally learn to show restraint in regards to all things tech. We all say we know those emails can wait, but we don’t let them. We laugh and acknowledge that it is silly to have to take a picture of every single bite of our food. We are not even able to meet our “neighbors” all around us because we are too worried about Candy Crush. 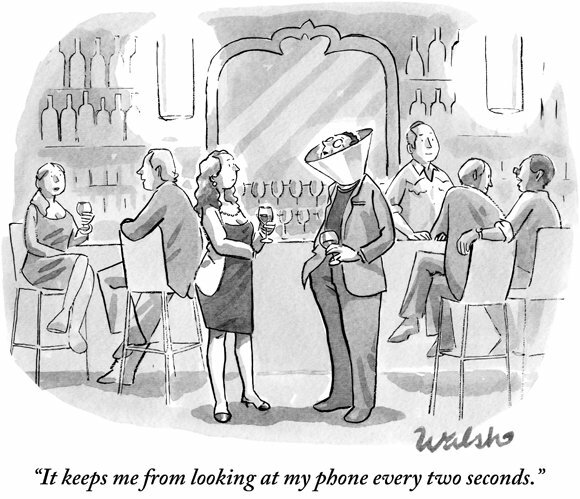 Perhaps in the end we will eventually realize our smartphones were just cones of shame all along. Dude, great article. I catch myself checking my phone while walking…which I find to be pretty pathetic when I later think about it. But of course, I do it again, and again. My wife said she will gladly place the cone of shame atop my head, the next time she sees it happening. She’s not a dude, she’s a dudette. And she makes a good point. I want to resist this tendency with great vigor! I don’t want to be “that guy”. Who’s in charge? You, or your tech tool? Seriously though, “resist” is exactly the right word, because the pull to “get zoomed in” as my 6 year old says, can be so strong. No worries:-) I was not offended. 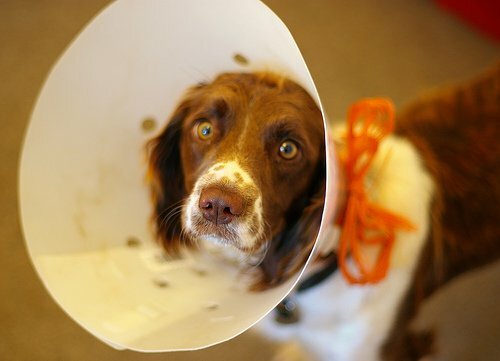 It certainly does not require an extra cone of shame! I find it particular hard if I didn’t set boundaries early on, though I still struggle from time to time. I work for myself as a website design/developer and the emails are always pinging (and notification banners always popping up), phone is ringing, etc. So I started to understand that not everything is an emergency and started turning off all notifications on my ipad, iphone and computer. I also set my phone to silent and get to returning calls during set times of the day. Dinner is a no phone zone. From the time I come downstairs to be with the family the phone is on silent or away. I return to work some time at night if I have projects I am working on but most nights its computer closed and phone down while I spend time with my wife. Sure I am a ‘different’ case, but those boundaries are definitely needed early on. Be diligent and be sure to be on the same page with your spouse. If he/she knows you struggle with it, and you can openly talk about those times of restraint to focus on the family then it will be made a lot easier.